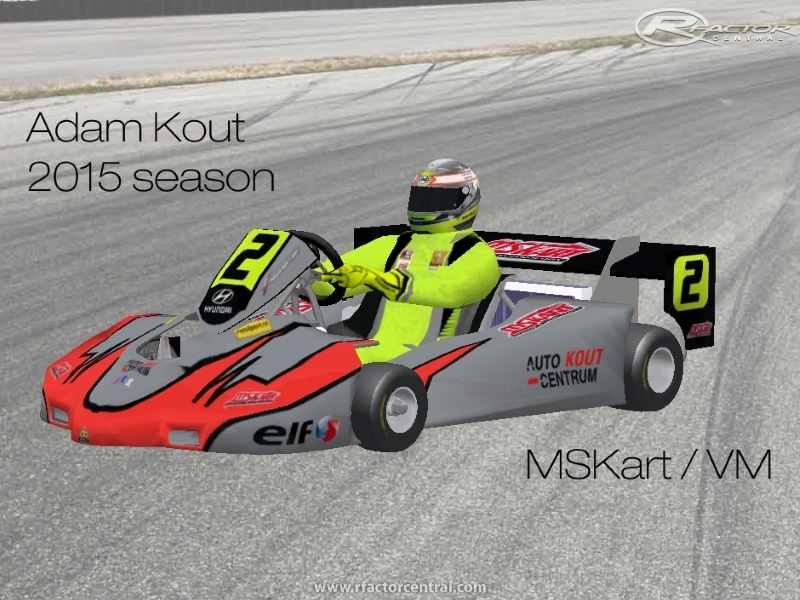 Once again I've decided it would be time to create two more seasons of the official European Superkart Championship. The 2014 season was one of the most exciting of the last couple years, with 4 drivers able to take the title with just one round to go in Le Mans. Eventually French driver Emmanuel Vinuales took the title, with two victories in his home grand prix. With just one round to go (1 and 2 August) at the famous TT-Circuit in Assen, during the annual GAMMA Racing Day, we have two drivers left fighting for the title. They both have 90 points in the championship, after races in Donington and Le Mans: the German Peter Elkmann and the Czech Adam Kout. It promised to be a fantastic battle in the last two races of this year’s championship. And it was. In race 1 Kout had a technical problem which made him slow down. Elkmann took 3rd place, which put him in the lead for the championship. 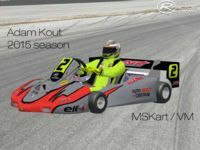 However, the second race on Sunday was convincingly won by Adam Kout, who won the title, beating Elkmann with a difference of just 5 points. Any questions, suggestions or requests are welcome. I understand Dutch, English, French and German. De mod komt er zeker. Ik heb op dit moment niet zoveel tijd om het af te ronden, maar ik verwacht dat eind februari alles klaar is.